Need a man and van in a hurry? Need one who won’t break the bank, nor your prized possessions? As London’s premier provider of quick, cost-effective man and van services, we’re always available right across London, even when contacted at short notice. Hiring a man and van offers a fast, affordable solution when your car is too small. With no hidden charges, our man and van team are on hand to carry your goods anywhere across London. In addition to our competitive hourly rates we also offer our man and van services from a simplistic £45-fixed rate-with no hourly charges for small/medium moves within London. What’s included when you book with Happy2Move? When you book a man and van with our London-based company, you get one of our reliable drivers with the skills, experience and knowledge of the local roads needed to get the job done. Our vans range from medium wheel base to long wheel base transit vans, big and sturdy enough to move all your possessions across the borough, from as little as £45, flat rate! 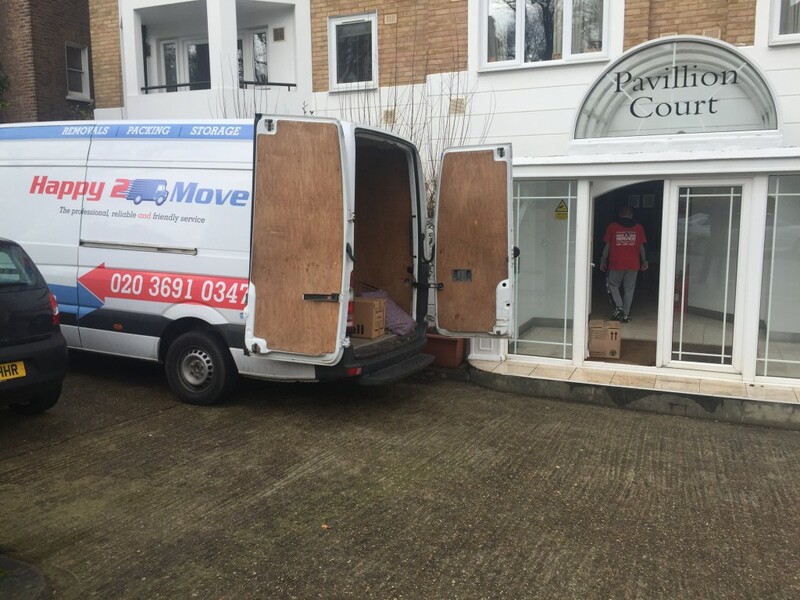 For bigger jobs such as home and office removals, we also have dedicated, professional moving teams and Luton vans on hand to help ensure your worldly goods are moved safely and securely across London. Our moving team can be hired from only £40 per hour for a minimum of two hours, a rate that leaves many of our more expensive competitors in the dust. What can you use a man and van for? If what you need isn’t listed above, please get in touch and we’ll do all we can to help. When you contact us about hiring a man and van in London, you’ll receive a free quote that covers everything, with no hidden charges or added fees. It doesn’t matter if you need us in three weeks or thirty minutes, we’re on hand and ready to help.